There’s really nothing new about this puppet -it’s made the way I make almost all of my puppets. But it does have insect wings cast in semi-transparent plastic, which is a first for me. More about those later. 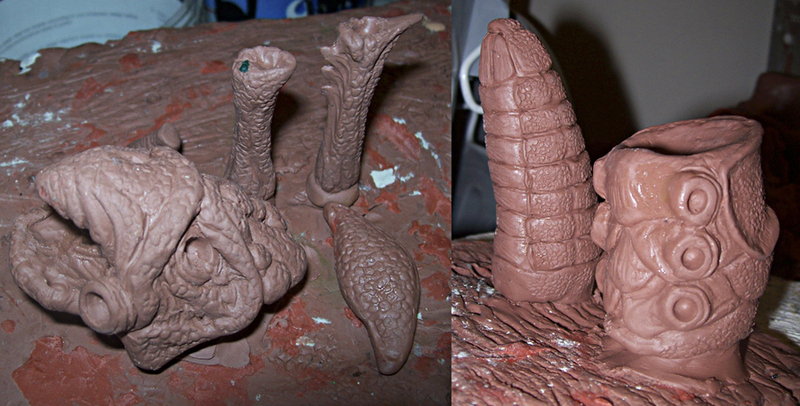 Basically all the parts of this puppet started as clay sculptures. The Blunderblat is very insect-like. An illustration by Colin West and the line ”I watched it rise into the skies Like some colossal locust” seems to indicate this. So I made it as a sort of cross between a grasshopper and some kind of crustacean.